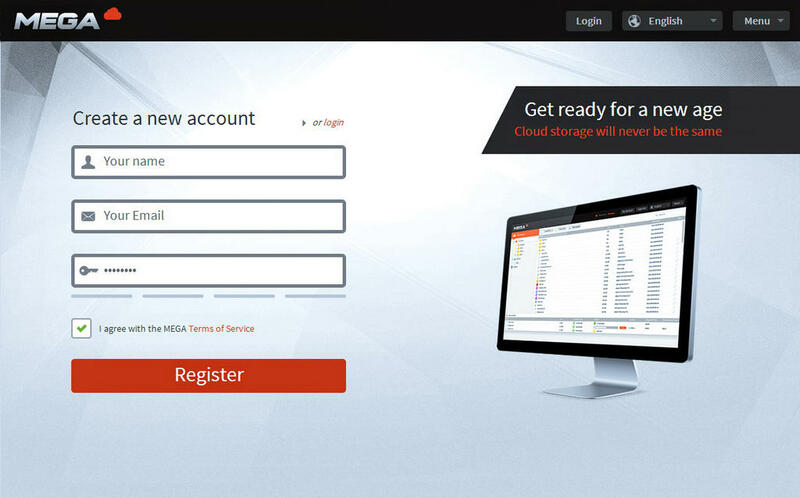 Kim Dotcom just took to Twitter and posted three new screenshots of his upcoming Mega service, which will be hosted at the New Zealand-based domain Mega.co.nz. The screenshots show off an encryption key generator, the registration page, and the file manager. The Mega site currently features an email sign-up, to help users keep up with the latest news and launch of the service, as well as links and information for hosting partners, developers seeking APIs, and financial investors. Yet you want more than that, don’t you? Without further ado, here are the screenshots. Every user will apparently be getting their own Cloud Drive, with the ability to download and upload files, as well as sort them into folders. The File transfer section meanwhile shows what you would expect: file name, size, transfer type, status progress bar with a percentage, speed, elapsed time, and remaining time. Even more interesting, there’s an Inbox, and a Contacts section, suggesting you’ll be able to message other users and keep a tab on what others are doing on the service. 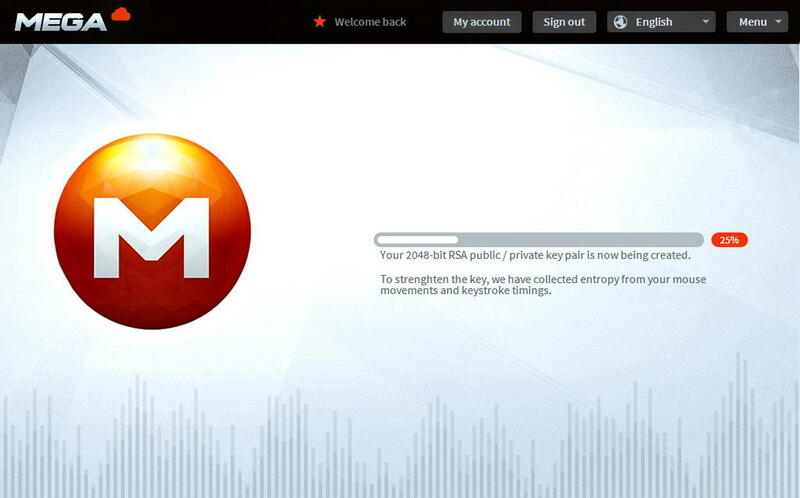 There have been plenty of teasers showing the reincarnation of Megaupload and the new music service Megabox. As well as video footage of Megabox — which hinted at a number of exclusive musicians — Dotcom, formerly known as Schmitz, has offered developers early access to the Megaupload API. Dates of the relaunch have been moved around a bit but, after initially vowing to launch the service before the end of the year, Dotcom has rescheduled for January 19, the one year anniversary of the police raid on his mansion. The raid — footage of which surfaced in August — caused much controversy as authorities were accused of acting heavy-handedly with many questioning why a helicopter packed with members of the ‘Elite Special Tactics Group’ was needed. Dotcom himself testified he was punched, kicked, kneed and otherwise treated unfairly during his arrest. In June, the New Zealand high court ruled that search warrants for the raid were invalid. That was followed by another embarrassing episode in September, when New Zealand Prime Minister John Key ordered an inquiry into claims that the Government Communications Security Bureau (GCSB) unlawfully spied on the Megaupload founder. 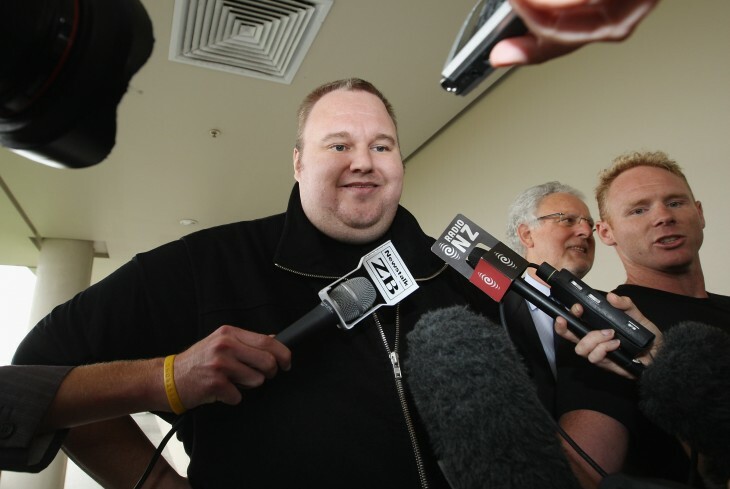 More recently, Dotcom has been given the right to sue New Zealand police forces for spying on him. The Dotcom extradition hearing is set to take place in March 2013 after being rescheduled from August 2012 following a series of issues relating to the way that police had handled the case.